All charges against Bobby Lehmann, the driver suspected of killing two pedestrians in March 2017, were dropped in court Monday because of insufficient evidence. A 77-year-old part-time Durango resident who veered off north Main Avenue last year, killing a Fort Lewis College student and Italian tourist, had all charges against him dropped on Monday. Bobby Lehmann, who lives in La Grange, Texas, and has a vacation home near Hermosa, was charged with two counts of careless driving resulting in death stemming from the March 2017 crash. La Plata County Deputy District Attorney Brendan Richards said there wasn’t sufficient evidence to prosecute Lehmann on the charges, prompting the district attorney’s office to request a motion to dismiss. Judge Dondi Osborne granted the motion to dismiss all charges. 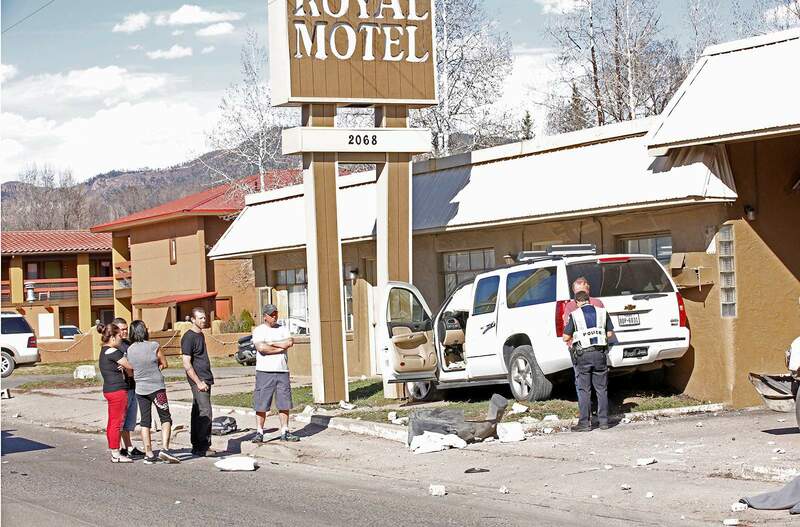 Lehmann was reportedly headed north on Main Avenue around 4 p.m. when his Chevrolet Suburban jumped the curb near the Royal Motel in the 2000 block of Main Avenue and hit two pedestrians. The two people who died were identified as Allen Duke, 23, who was five weeks away from graduation at Fort Lewis College; and Marco Ricchi, 46, an Italian visiting the American Southwest. Richards said the facts in the case didn’t add up to being able to charge Lehmann. Lehmann told investigators he had drank a 12-ounce beer earlier in the day at Lady Falconburgh’s, now called The Cavern Bar and Grill. And, there was some evidence suggesting Lehmann had consumed two to three shots of whiskey before getting behind the wheel of the truck. But Richards said a test showed Lehmann had 0.01 percent blood-alcohol content compared with the 0.08 legal threshold for drunken driving in the state of Colorado. Lehmann took the test nearly two hours after the crash, but even so, Richards said alcohol wouldn’t have been a contributing factor in why Lehmann drove off the road. Prosecutors also tested a theory that Lehmann disregarded medical advice for his diabetes by drinking in the middle of the day and eating only a bowl of soup, as Lehmann told investigators. But two medical experts rejected the notion that Lehmann had a diabetic attack that caused him to pass out, Richards said. “We don’t think we can beat this defense with the facts we have,” he said. Lehmann, who has said he does not remember the crash, did not show up in court Monday. Defense attorney Joel Fry, representing Lehmann, said the crash was caused by an undiagnosed heart condition that has since been treated. Witnesses and data taken from the SUV showed that Lehmann was not driving erratically and was obeying the speed limit of 35 mph. Fry said Lehmann suffered from a heart condition, not caught by his doctor in Texas, which had caused him to suddenly pass out. He has since had a defibrillator surgically implanted to prevent any future episodes. Brian Duke, Allen’s father, told Judge Osborne he and his family don’t believe that Lehmann had an undiagnosed heart condition. Instead, he wished that a jury trial could decide whether Lehmann disregarded his diabetes, leading to the crash. “If you are looking to serve justice … then please allow us our rightful day in court,” Duke said. Judge Osborne said a court can refuse a motion to dismiss recommendation from a District Attorney’s Office only when the evidence is “clear and convincing” in the prosecution’s favor. “Based on the information before the court … the court must grant the motion to dismiss,” Osborne said. Fry and Osborne indicated the families of the victims are pursuing civil litigation. This story updated the name of Deputy District Attorney Brendan Richards.